This lovely, small one roomed apartment has got 2 twin beds, kitchenette, bathroom with bath tub and a roof balcony with jacuzzi. One room with two twin beds and kitchenette, bathroom with bathtub and balcony or terrace. This apartment type has got one bedroom with 2 twin beds and one room with kitchenette, dining table, sofa and coffee table. 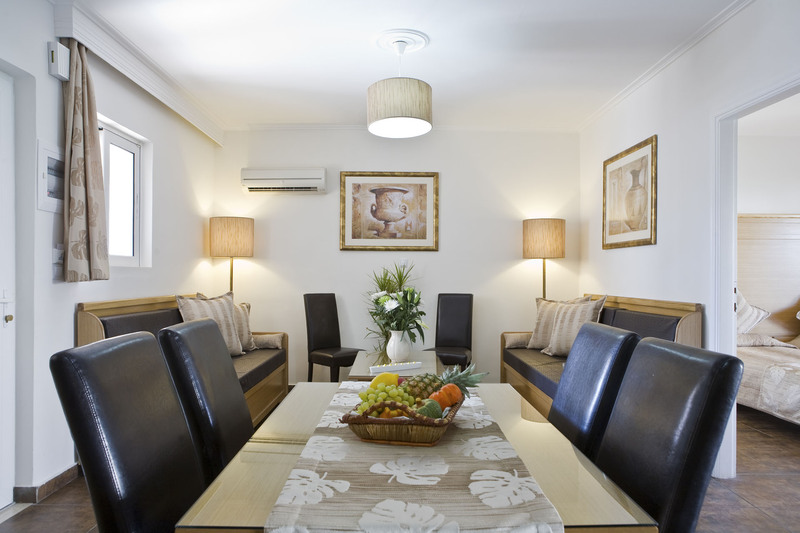 This apartment has got 1 bedroom with 2 twin beds, 1 kitchennet/ dinning room with 2 sleeper sofas. 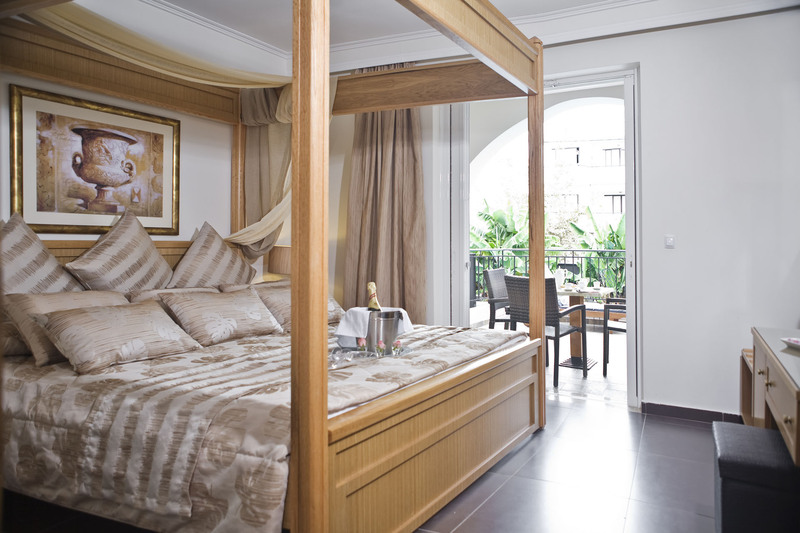 The Royal Family Suite has got a bedroom with a lovely king size four poster bed and balcony with pool view. This apartment type has got two bedrooms with 2 twin beds in each and one room with kitchenette and dinning table, sofa and coffee table. This apartment type has got one bedroom with a double four-poster bed, one room with kitchenette, dining table, sofa and coffee table.